Habitat: (view in new page) :Secondary : Heath on the summits. 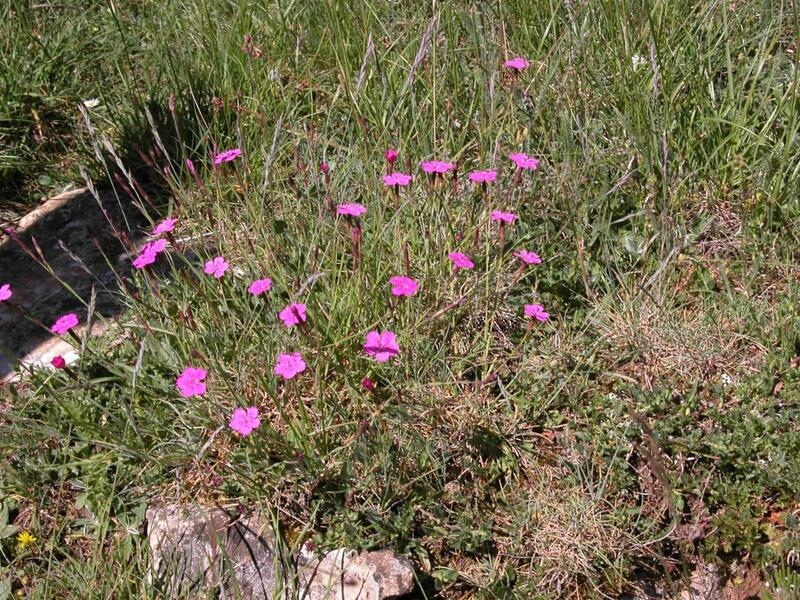 Habitat : (s'ouvrir nouvelle page) :Secondaire : Landes des sommets. 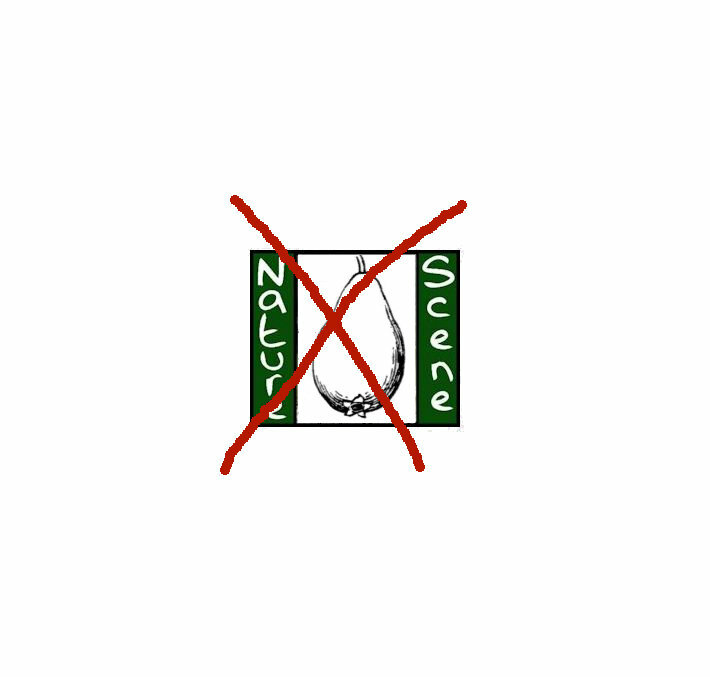 Écologie : Pâturage et bois des montagnes du Plateau central, depuis la Loire et l'Ardèche jusqu'à la Haute-Vienne ; haute-Garonne. 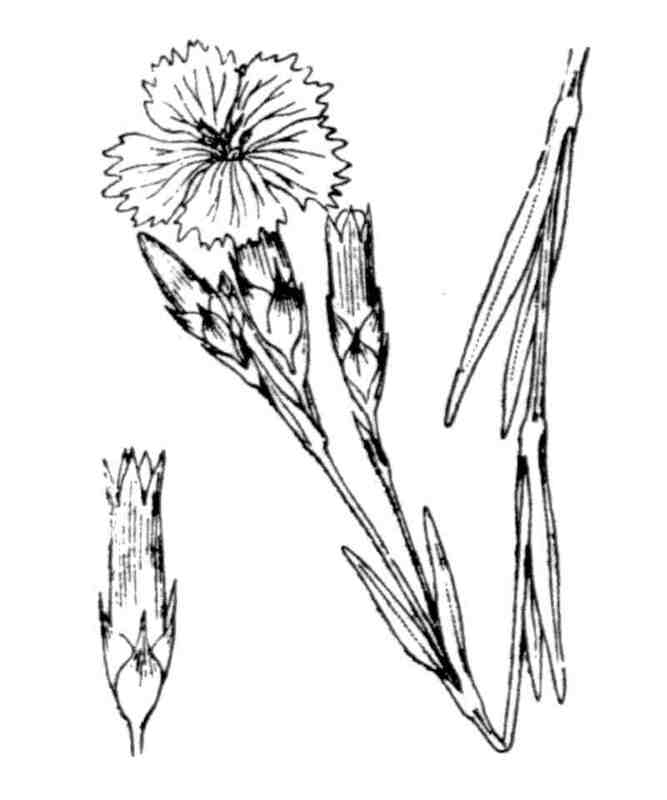 PNC entries of Dianthus sylvestris subsp. longicaulis Greuter & Burdet and Dianthus sylvestris Wulfen are almost certainly Dianthus sylvaticus Hoppe ex Willd. 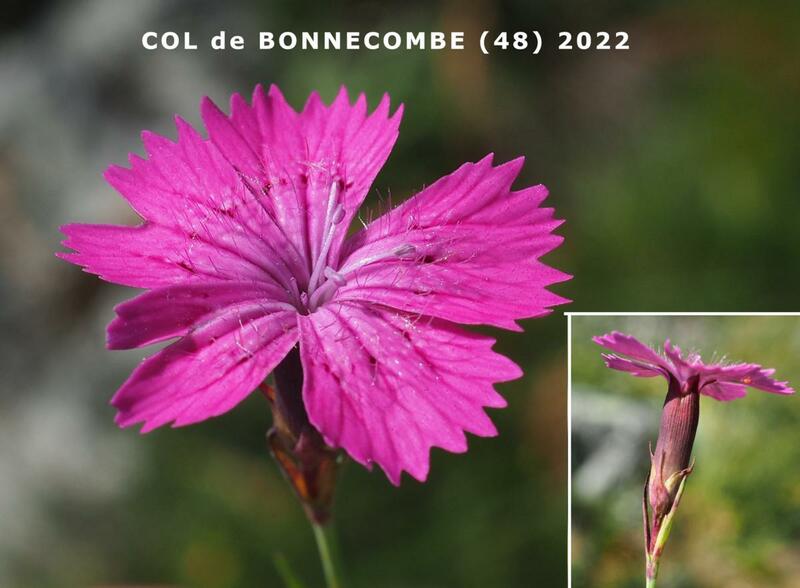 Herbaceous perennial reaching 25-60 centimetres in height. 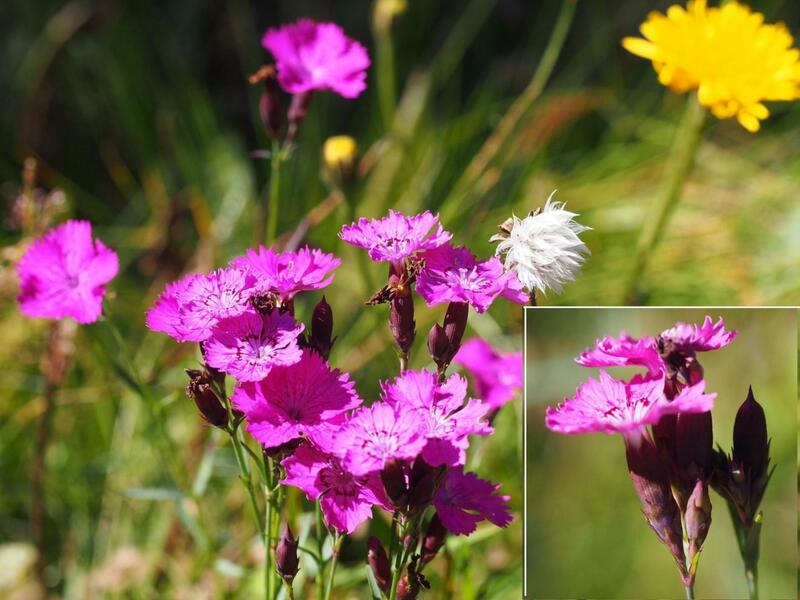 Flowers: pink flowers, with purple markings in the centre. 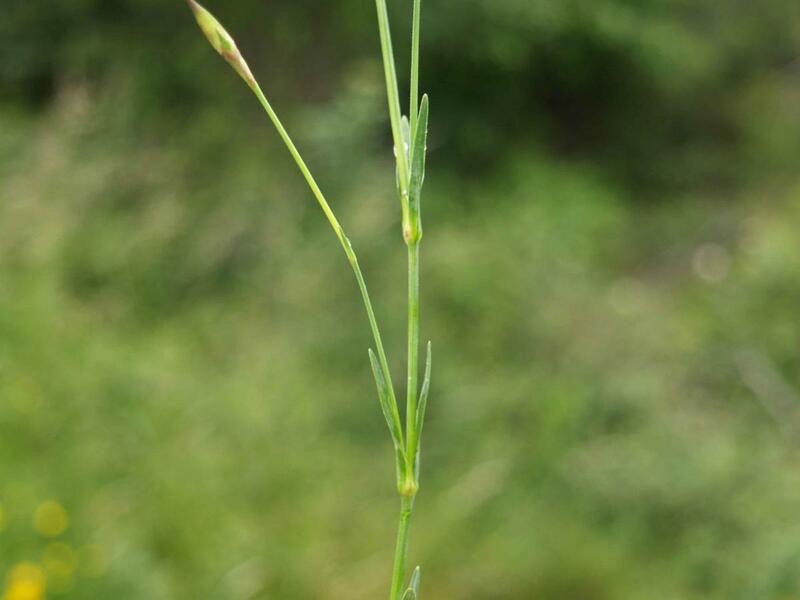 Non-perfumed, scales of calyx oval, with a short point, reaching half the calyx, which is a striped bown-violet. Fruit: capsules with several brown seeds.